Sometimes the mists roll over the roads near Lakkidi View Point. Sometimes the view is long and clear. 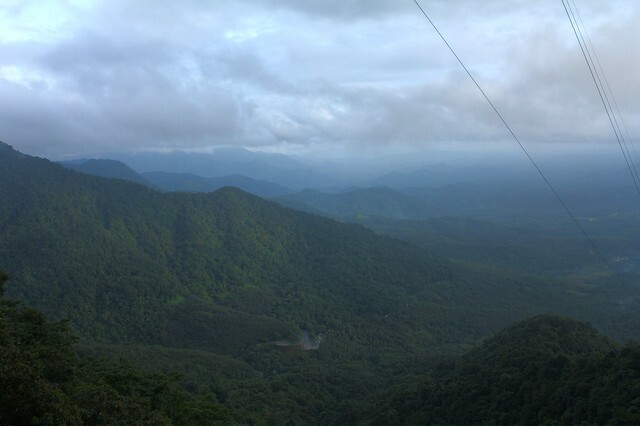 The view point is located along the roads in the mountains. Lakkidi itself is a small town 58 kilometers north-east of Kozhikode. The viewpoint is within five kilometers of Lakkidi town. The place gets the second highest degree of rainfall in the world.There is a fresh water lake nearby called Pookode Lake which is very wide and deep and serves to be a water resevoir in Wayanad.